On a sunny afternoon last September, a group of local historians sat down at the Saugus Train Station with a reporter from the BBC who was pursuing a story on riding the rails, hobo style. His question about hobo stories from Newhall's past was met with relative silence. I must admit, I had never heard of any connection between hobos and Newhall. But a recent review of the archives of the Los Angeles Times reveals that around the turn of the 20th Century, Newhall had a big hobo problem! 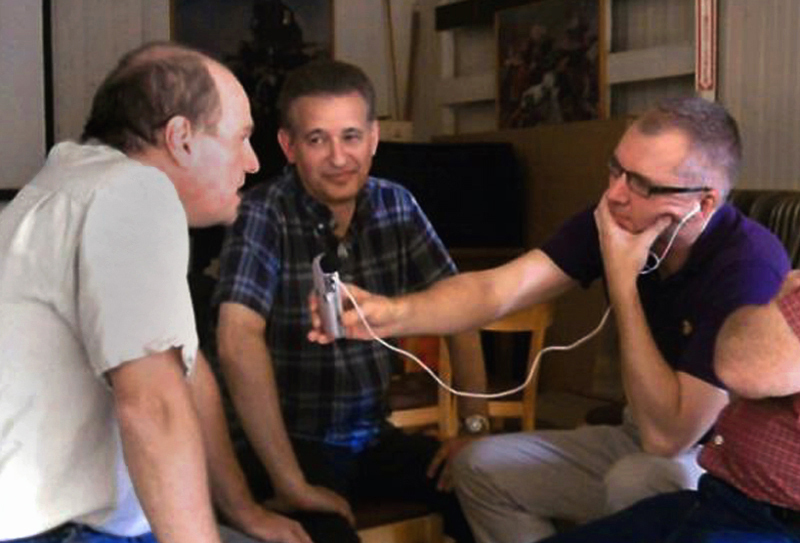 BBC reporter (right) interviews SCV historians E.J. Stephens (left) and Dr. Alan Pollack (center) at the Saugus Train Station Museum in 2012. Photo by Kim Stephens. According to Webster's Dictionary, the term "hobo" was first used in 1889 to define a migratory worker or "a homeless and usually penniless vagabond." The term "tramp" was used to define a vagrant or foot traveler. "Mr. Editor; Dear Sir, I write these few lines, to be published, in order to let the poor class of people know, that there are no work Hear for them, and that they are being deceived every day, the working class are coming Hear; and going away by the Hundreds, and still they advertise for Help, it is good for the R.R. Co. about everything we buy Hear; in the way of eatables, are High, many things are double in price, there are many families Hear; that cannot git away, there wages so far, is from fifteen to thirty-five cents per day, many of the working class Has ben Hear waiting for work for nine days and Have no money to take them away, there are notices tacked up on almost every corner; in Newhall reading thus. "These people they call tramps, are not tramps, they paid there money to come here to work, and was deceived, and Have no way to go Home, we that are Hear; advise the people to save there money, and spend it at Home. Signed. A Friend to the Working People. Please retain my name, J.A. Burns." A few months later, a "dirty and ragged" tramp showed up at the Chandler Ranch home of a farmer in Burbank, asking for food. The farmer and his wife kindly shared two big plates of food with the hungry man. After consuming his meal, the tramp noticed a nearby vineyard of grapes belonging to the farmer and asked if he could eat some grapes before chopping wood for the family. The farmer kindly consented, but the tramp disappeared without returning any favors for the food. Three days later, a constable from Newhall, on his way home from Los Angeles, was caught loading the farmer's grapes and pumpkins on to a wagon. When confronted and notified by the farmer that he was stealing his property, the constable said, "Your permission be hanged. I've just bought and paid for these pumpkins and grapes, and I don't know what you have got to do with it." The farmer peeled off his coat and prepared for war with the constable. The constable began to notice something fishy going on and told the farmer that a man had come out of the vineyard and offered to sell him some grapes. "My name is Johnson and I am a constable at Newhall," he told the farmer, as quoted in The Times, "and when this man offered to sell me some grapes, I told him that I wanted a load of pumpkins for my horses, and would take a few grapes. He fixed his price, and we were just loading my wagon when you came up." At that moment, the tramp jumped up from a nearby grapevine and took off running. Realizing the man was the same one he had fed three days earlier, the farmer yelled out, "That's a thief and we must catch him." The farmer, constable, and a young man on horseback took off after the fleet-footed tramp. They finally caught up with him after running for two miles. Even then, the tramp only surrendered after the constable pulled a pistol on him. He was handcuffed, taken back to Newhall, and locked up. The Times reported: "He will be tried in the Superior Court of this city, and it is more than likely that he will go to jail for several years, as it has transpired that for three days he sold grapes to almost every one that passed the vineyard." On New Year's Eve, 1902, the badly mangled body of a presumed tramp was found just after dark on the Southern Pacific tracks near Saugus. There was no means of identification on the body. Authorities determined the tramp was instantly killed when he slipped under the train wheels while attempting to board a southbound train. In March of the same year, another man was found dead in Saugus in a boxcar on the railroad. He was described as 35 years old with a sandy mustache, a wooden right leg, and poorly dressed. The man, who had no identification, had been seen carousing with three other tramps for several days in Saugus. It was presumed that the three had murdered him by crushing his head with a coupling pin as he slept, to cover up some other old crime. The three men were seen leaving town on the day of the murder, and authorities told the press: "Every hobo who lands here will be arrested until the camping ground is broken up." The newspaper postulated that there was "hardly one chance in a thousand that the murderers will ever be brought to justice." Ed Pardee, who acted as the main constable in Newhall at the time, apparently had his hands full with hobos. On Oct. 24, 1902, The Times reported, "Constable Pardee went to Saugus this week and arrested nine tramps in one batch. Three of the unwelcome tourists were sentenced to twenty days by Judge Powell." The Times reported Sept. 20, 1903, that the Los Angeles County Board of Supervisors decided to put tramp inmates in the county jail to work at hard manual labor. The work order was to begin with the excavation of ground for a new county hospital. It was hoped that news of the hard labor would spread to hobos around the country and discourage them from coming to Los Angeles. "If the constables cooperate heartily with the work this winter," The Times reported, "it is believed that a strong check can be put on the annual pilgrimage. The hobos come into the country by two or three fixed routes. Along the San Fernando road is one. One of the great hobo stations is Newhall; another is Pomona." By 1905, arresting hobos had become a primary source of income for constables and justices in the outlying districts of Los Angeles County. Constables would track down these "Weary Willies," arrest them and collect fees that allowed them to earn up to $125 per month. The system degenerated into nothing more than graft. A hobo who came down from the north over the Tehachapis would be held up at Lancaster, arrested and put on trial. The justice and constable would thereby qualify for their fees and let the hobo go on his way. The constable would then place a courtesy call to a constable at the next way station, such as Palmdale or Newhall, who would rearrest the same hobo and earn his fees. This might happen up to five times before the hobo reached Los Angeles. Since it did make them look bad to arrest hobos and then let them go, a fair number of constables sent the hobos to the county jail to do some time. Thus when the new county jail was built, it was filled largely with tramps and hobos. The county sheriff didn't complain, because he was making a profit on them, too. 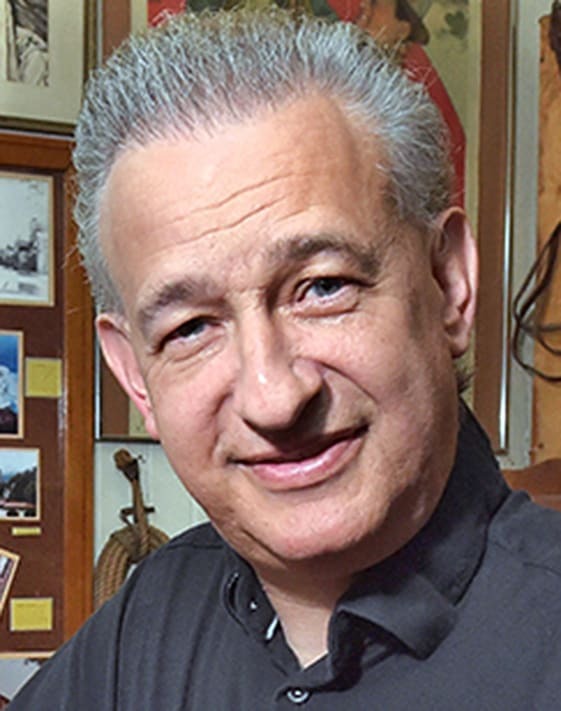 "He put the handcuffs on them and took them by the first train passing to Newhall, where he locked them in the local jail instead of bringing them straight through to Los Angeles. By doing this, he would be able to enter up fees for three men, and Justice Powell would also be able to soak the county in fees." 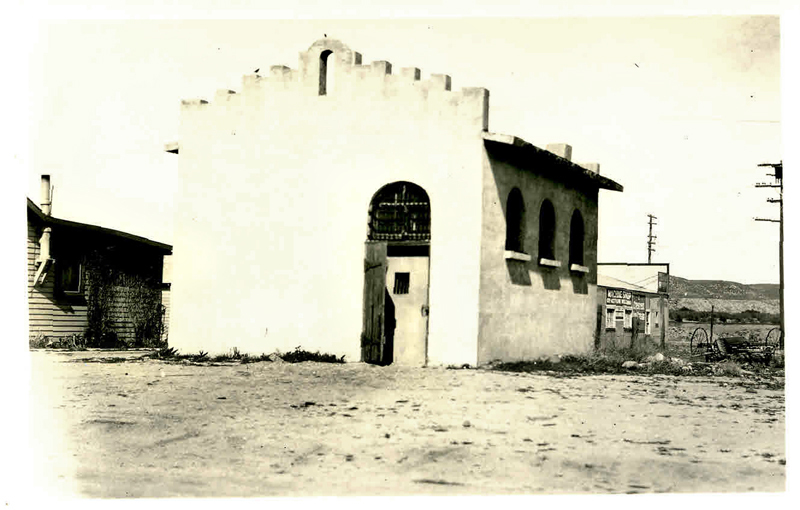 Newhall Jail as it appeared in 1925. Click to enlarge. Hobos may have had a lot to do with the construction of the Old Newhall Jail, which still stands on Spruce Street next to the modern-day Old Town Newhall Library. A headline in The Times of May 5, 1906, reads: "Step Lively By Newhall. Hobos Skirt Town to Escape New Calaboose. Cement Lock-up a Harbinger of Hard Times. No More Will Prison Walls Go Up in Smoke." The article begins: "Newhall has a new jail, break-proof from the inside out; dangerous from the outside in. It means death to the hobo camps alongside the railroad up north of Saugus, where the tomato-can kitchens and the bonfires make an oasis for the weary tourists with oil smoke in their lungs and the jolt of springless trucks in their bones." Prior to this lockup, most jails in the unincorporated areas of the county, including the predecessor jail on the same site in Newhall, were built of 2x4 railroad ties stacked up like a blockhouse. Hobos found it quite easy to escape from these structures. They could simply build a fire on the floor of the jail and burn out a side of the building, or they could climb out through cracks in the walls. The ease of escape meant only about half of the hobos arrested came to trial. The constable would collect his customary fees — but the justice of the peace would lose his fee when no trial took place. The article continues: "The worst thing about this new jail from a hobo standpoint is that it will be thoroughly sanitary. If Constable Pardee takes such a notion into his head, he can make every lodger take a bath with the facilities provided. But that would be bad for the constable's business." The new jail was described as a cement building with walls 12 inches thick. It had three barred windows high off the ground on one side, opening onto an alleyway that ran the length of the interior. On the other side were two cells, 12x13 feet in size. At one end of the alley was a barred door, at the other end a sink. The floor was also made of cement. The outline of the building was described as mission style, "with a fancy cornice and a place where a bell ought to be." It was reported that word of the new jail was sent out along the hobo line, and few of the transients wanted to reside at the new abode. "The newer, safer donjon (sic) keep is expected to save the country much in the transportation of prisoners who could not safely be left in the old jail to await trial. This luxurious bastile (sic) at Newhall will cost about $2,200. It is the intention to build one much like it at Sawtelle. As rapidly as possible, they will be installed at other places where needed." So the next time a reporter from the BBC comes around asking about hobos ... have we got some stories to tell!